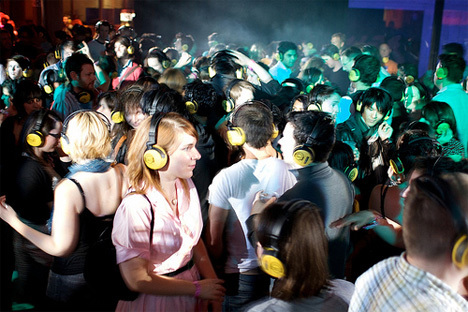 The experience of listening to music through headphones is immersive and typically done alone. That’s what makes the concept of the ‘silent disco’ so intriguing – enough so to attract the attention of the patent hounds at Apple. 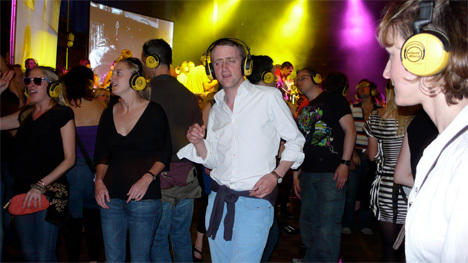 The implementation of a ‘silent disco’ is like going to a concert or DJ set with the added inconvenience of wearing headphones. It’s been done many times by many groups, with the common factor being that every participant is listening to the same sounds. Apple’s latest patent allows the participants to hear their own music, regardless of artist or even genre. A common tempo is used so someone listening to low-bpm reggae doesn’t get freaked out by the person listening and dancing to high-bpm thrash metal. The social aspect is the main focus of Apple’s patent, which is, of course, centered around the iPod, iPhone and iPad. A ‘roving DJ’ is nominated and sets a general tempo, and personal information, along with music, can be shared among users. 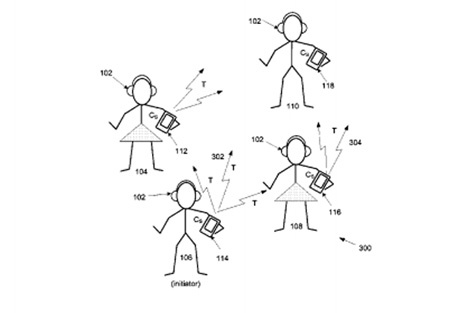 Interestingly, the patent also specifies that the participants don’t even need to be in the same physical location – wi-fi, Bluetooth, cellular networks and the Internet can all transmit the party to people anywhere. It may be too trendy to replace actual concerts, but its novelty is undeniable. See more in Unbuilt Concepts or under Technology. September, 2013.